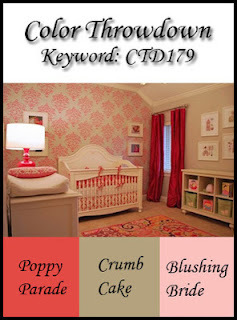 Create Embellish Adore: So Sweet! Its a day for quick and sweet cards. I found a piece of Blushing Bride, emblossed with Vintage Wallpaper, so that was no brainer. Matching it with Poppy Parade makes it more feminine. 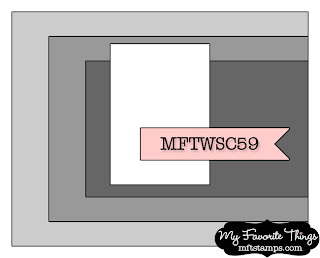 I loved coloring the stamp from Up in the Air. Those little butterflies are just darling! 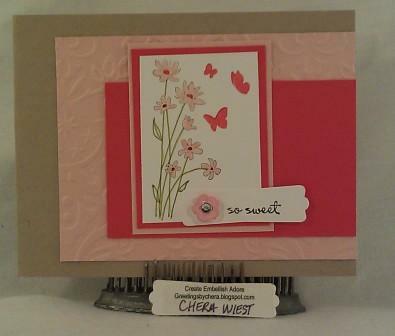 The sentiment that is actually on the stamp, I used but put it on the Modern Label punch, and then added a flower button with a rhinestone in the center. It pulls it all together, and makes the sketch! 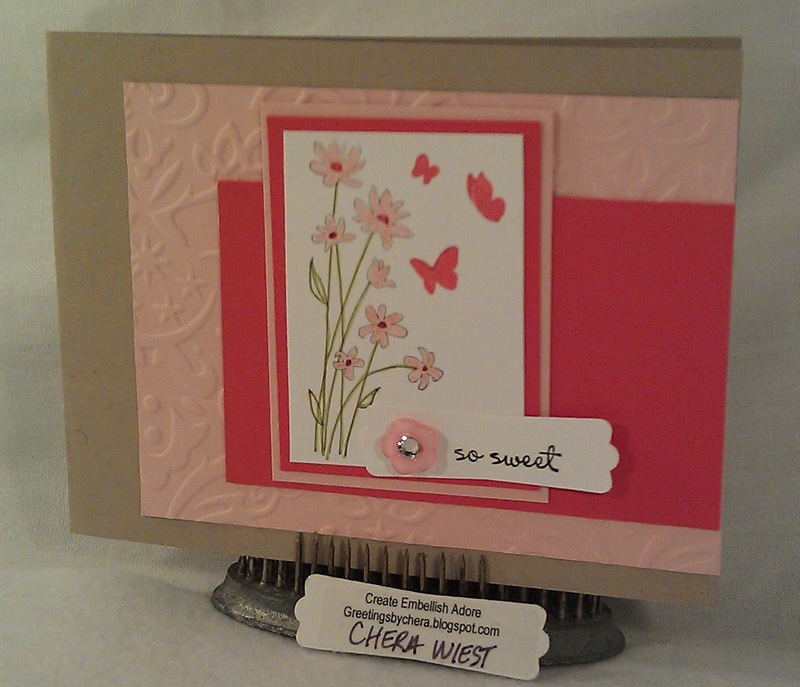 Love your clean and simple design...your card is a breath of springtime! Thanks for playing along with us at Color Throwdown! I really like your clean and simple approach. Blushing Bride and Poppy parade together definetly get me thinking spring! Thanks for sharing. Your card is very sweet and like the other girls said, clean. Sometimes I need to step away from the card a little earlier than I do. Beautiful CAS card! Love your take on the sketch and color challenges :] Thanks for joining us at the Color Throwdown this week! !